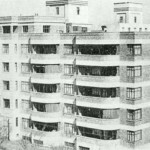 An interest in the story of the GLENEAGLES apartment block almost certainly presumes an interest in the Art Deco architecture. Barely had South Africa abandoned the gold standard when the Great Depression of the 1930s sent the gold price soaring as investors sought a safe haven in the metal. 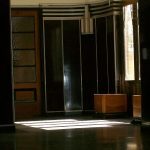 In fact, it was suggested that the Art Deco style was especially suited to the design of banks because it resembled a decorated strongbox! All this conspired to launch a building construction boom in Johannesburg. Nearly a decade after the rest of the world, Art Deco nonetheless served as inspiration to the remarkable clutch of architects at work in Johannesburg. 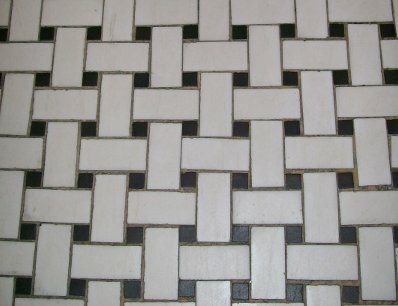 The origins and inspiration of the Art Deco style are thought to be found in the Mayan and Aztec cultures of Central America, tribal African work, Egyptian design following soon on the excavation of the tomb of Tutankhamen, the ziggurats of Babylon, Russian ballet stage design, Asian finishes, Classical Greece and Rome, Cubism, Fauvism, to mention but the obvious. The 1925 Paris World’s Fair, the Exposition Internationale des Arts Décoratifs et Industriels Modernes, represented Art Déco at it purest. 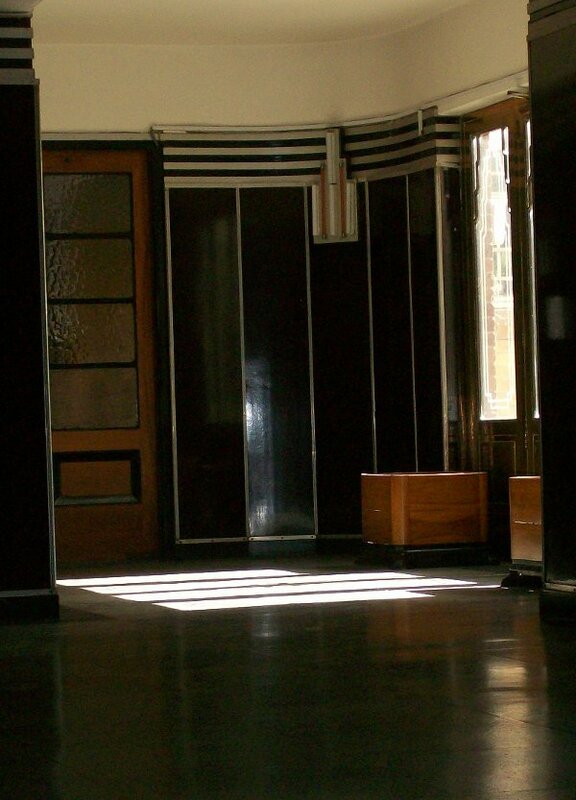 Subsequently varying schools and other countries expanded what became Art Deco or Le Style 25 as it was also called. 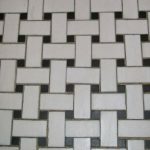 The Art Deco style is renowned for cross-influencing disciplines. Ocean liners, streamlined trains, automobiles, ironwork, pianos, books and bookcases, furniture, liquor cabinets and cocktail paraphernalia, decoration, fine art, graphics and typography, most notably the poster, ceramics, flatware, glassmaking, carpets, radios, fashion, jewelry, clocks, lighting, fountains, screens, candlesticks, and indeed, architecture, all dipped into this exuberant new design style. Exotic and new materials appeared on the scene. Mother of pearl, snakeskin, sharkskin (shagreen and galuchat as it was also known), parchment, chrome, aluminium, nickel, bronze, gold and silver leaf, cork, crushed-eggshell lacquer, ivory. These were either used as embellishments and patterns or to entirely cover items. New metals and plastics arrived which set the scene for future industrial mass-production. Steel and metal alloys were soon utilized throughout. Tubular-steel and leather furniture became the rave. Laminated plywood was widely used on furniture. Pêche or peach-coloured mirror glass was highly appreciated. Costume jewelry was made out of marcasite, paste (imitation) stones, glass and various synthetic materials such as resin, plastic, galalite, bakelite and celluloid. Sumptuous and exotic woods from the colonies were employed with great success. Bubinga, palissander, padouk, wacapo, oak, walnut, rose, camphor, mahogany, amaranth, amboynas, ebony, and violet! The curve, bow shapes, streamlines, rectangles, zigzags and geometric patterns made their appearance. 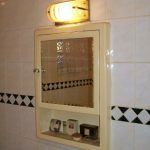 Flat doors without panels and large windows with metal frames were the fashion. A radical abstraction of classic architecture was utilized. The motifs included geometrics, floral, botanical, animals, birds, cattle, grain, and water as waves, cascades and fountains, and the sun. The colour palette initially reflected strong colours such as purple, orange and bright jade green. By the end of the 1920s it was the softer eau de Nil, sage green and butter yellow. Grey, brown, cream and pale greens were used throughout. Art Deco is probably best appreciated in its larger applications. Architecture and most notably the advent of the zigzag skyscraper building linger as monuments to the style. Railroad stations, fire stations, cemetery gates, even jails. Nothing escaped the new wave. America especially led the way in the large number of monumental buildings. Besides marble and granite, walls were now made of sheet metal and bolted together. Large sheets of glass and multi-coloured glass blocks featured as the new building material. 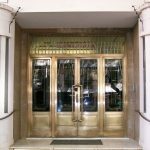 More often the Art Deco building was accompanied by avant-garde ornamentation and rich embellishments on the façades. Stunning metalwork made its appearance on both interior and exterior walls. Raw concrete was painted with dramatic effect. Murals and mosaics were unlike anything seen before. 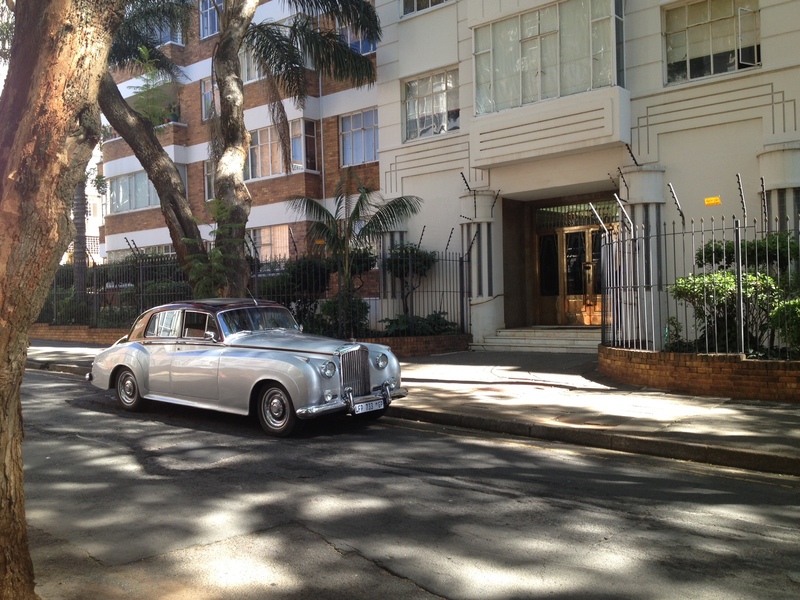 The Art Deco style also found a home in South Africa. 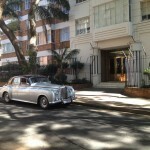 Clive M. Chipkin writes in JOHANNESBURG STYLE Architecture & Society 1880s – 1960s (David Philip, Cape Town, 1993) that by the late 1930s Johannesburg possessed four real skyscrapers in the central business area: Escom House at 21 storeys, Anstey’s at 17 storeys, Chrysler House at 16 storeys and Lewis & Marks at 14 storeys. While Anstey’s and Escom House were the most modern of buildings on the African continent they were still no match in height for the Egyptian pyramids of 3700 BCE! 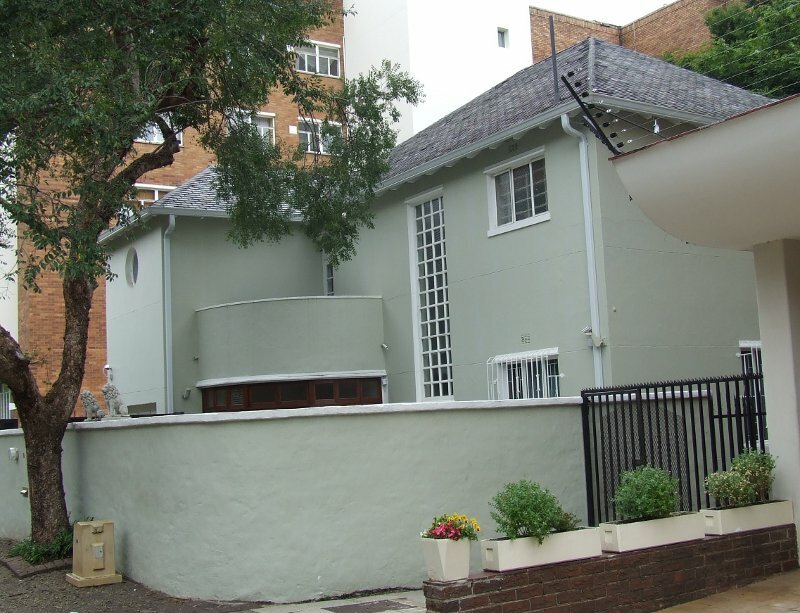 The Johannesburg partnership of architects J.C. Cook & M. Cowen was formed in April 1927. It is reported that the firm was prolific in output. By the beginning of 1934 they were working on fourteen major buildings. They were responsible for a great number of apartment blocks in the city over a period of fifteen years. 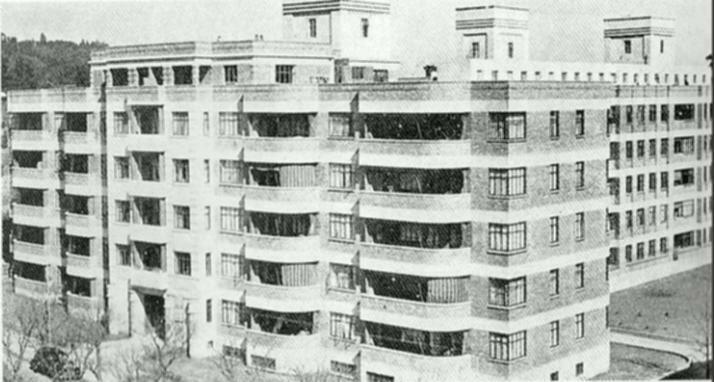 One of these apartment blocks is GLENEAGLES (1935 – 1937) in Killarney. The main entrance faces Second Avenue and the H-shaped building occupies half of the block between First Street and Second Street. 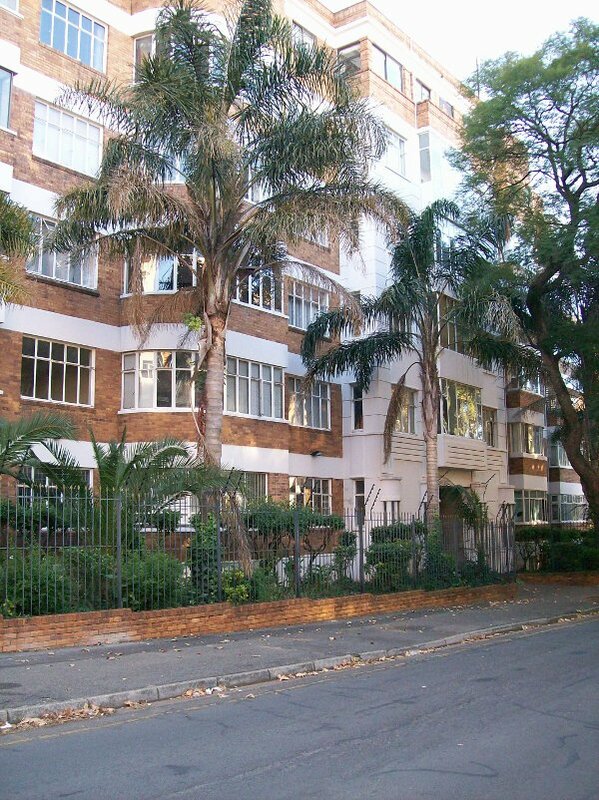 It is an exceptionally handsome and ‘commodious’ Art Deco face brick building with semi-circular bays. In June 2011, a conversation about GLENEAGLES with Mrs Gertie Awerbuch revealed an idiosyncratic tale. Mrs Awerbuch has been a resident of GLENEAGLES since 1983 and indeed intimately involved with the building since its earlier days. Some of Gertie’s memories appear to confuse Sam and Max Stein, father and son. For the moment I am largely relating it as told to me by her and it was published as such on this website in that same year. The dates of the building work are a bit of a riddle. Gertie reckoned that building on the north and east wings of GLENEAGLES commenced as early as 1929 and continued until 1932 when all building activities were interrupted. Chipkin’s mention of the dates 1935-1937 might well be an accurate indication of when building had eventually resumed, the west wing added and the building completed. I was thrilled! GLENEAGLES had been in the news in recent days because of the Killarney Centenary celebrations that was to take place on Saturday 28 September 2013. 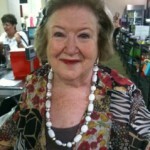 She found this website and contacted me. During a meeting Petra told me the tale of Samuel Stein and his wife Mary who had arrived in Johannesburg from Lithuania, possibly in the 1920s. The rest of his family went on to Connecticut in the USA. Sam Stein was a carpenter by trade. He purchased a timber plantation and set up the first warehouse, Stein & Son, supplying stock to other carpenters in his new town. On Fifth Street in Killarney there is an unexpected little house. 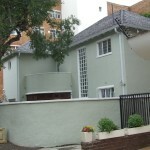 It had not originally been designed in the Art Deco style but small additions at a later stage does give the impression. Gertie recalled that this is where Max Stein lived but Petra is adament: This was the house where her grandparents Sonia and Sidney Brick had lived. The house had been built by Sam for his daughter, Sonia. At that time the house was still surrounded by veld and on one occasion a runaway veldfire threatened to engulf their home. Fortunately it survived and there it remains, wedged between two large apartment blocks. The developers I. Kuper and the owners of GLENEAGLES started selling units to prospective owners around 1982. 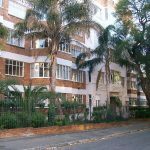 This was undertaken under the new sectional title act rather than the prevailing shareblock scheme. Gertie recalls quite definitely that the first owner was Madge Paget who resided in GLENEAGLES from 1936 to 1996. A multi-millionairess, she had bequeathed the grand sum of R1 million to the Performing Arts Council of Transvaal (PACT) Ballet. At that time Gertie Awerbuch had been employed as an estate agent by I. Kuper, a realty developer and part-owner of GLENEAGLES. She recalls with fond detail the enthusiastic attention given to the furbishment of this modern rental block. 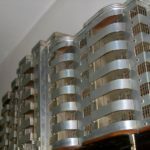 The authentic Art Deco fittings had been imported from America and held in stock on site throughout the two construction phases. 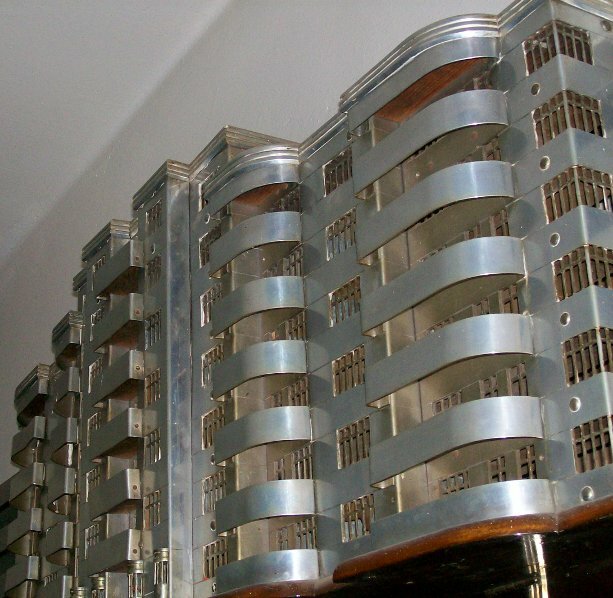 Each apartment had been fitted with Art Deco-style iron baths. 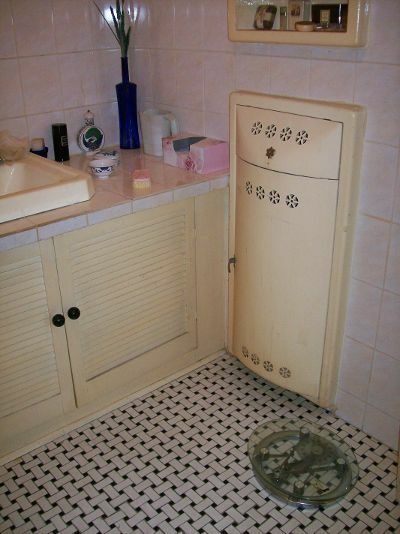 Small black-and-white tiles separated the toilets from the rest of the bathroom floor. Steel tables in the kitchen and thick bevelled glass canisters to store sugar, coffee, tea and the like were standard in all the flats. There were interleading wooden frame doors with more bevelled glass. 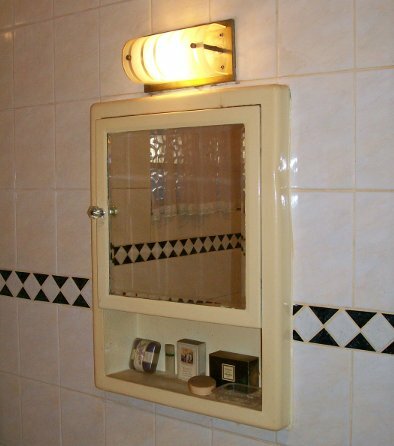 Bathroom and bedroom doors were fitted with steel handles in the definitive Deco design. Originally the floors were elegant oak strip flooring on the east wing and parquet throughout the rest of the building. According to Gertie, Max Stein had employed professional builders in the execution of GLENEAGLES. Not so, says Petra: It was Sam’s building. All work had been undertaken by Sam himself and he had not contracted professional builders. It was Sam who had built and developed GLENEAGLES and it was Sam who had ordered the fittings from America down to the last detail. Besides GLENEAGLES, Sam also built Bretton Woods, Dumbarton Oaks and Earls Court, to name but a few. It is quite clear that the father built, and with his son, owned several apartment buildings and houses in Killarney and Houghton. Petra’s parents resided at number 15 GLENEAGLES when she was born and there she lived as a child with two siblings. 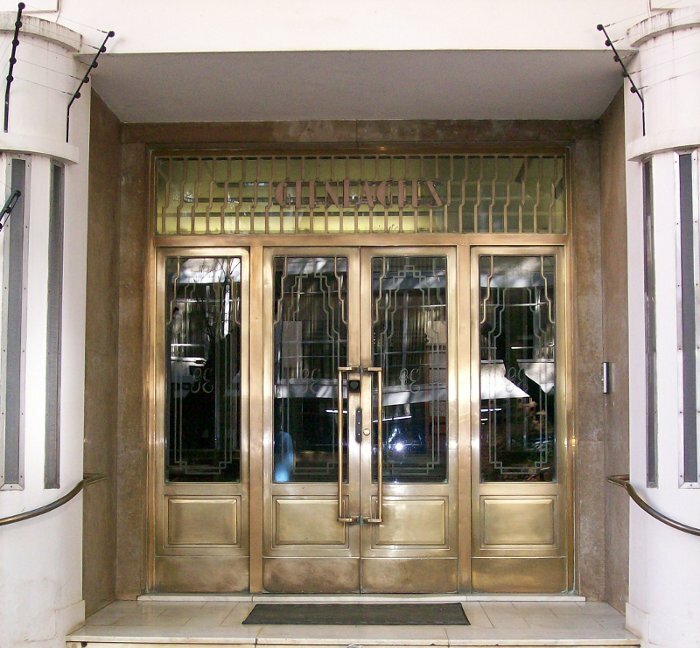 Petra recalls an elegant switchboard in the foyer, situated opposite the postboxes, just to the left of the entrance on Second Avenue. The operator was a Black gentleman named Thomas. An aluminium architect’s model of GLENEAGLES makes a permanent sculptural display in the foyer. Backlighting displays it to great effect at night. I am told by Petra Stratford that her great-grandfather Samuel Stein built this model at home in the evenings. Initially Sidney had kept this as a fond memento of his father-in-law when Sam’s building was sold to developers. It was donated to the building at a later date. 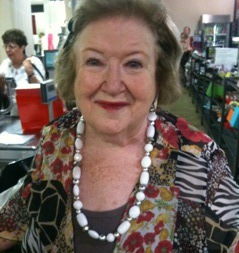 The two passenger lifts currently installed in the building replaced the originals,says Petra. She describes large paintings of the Victoria Falls inside these lifts. The east wing of GLENEAGLES houses two spacious penthouses. The idea was that they should resemble turrets. According to Gertie the effect of the exterior design was far from pleasing. Some changes were then made to improve their original design. Small elegant gardens grace the block on all but the south side. Gertie Awerbuch says that the lay-out and planting of the gardens had been her project and confesses that the tall liquidamber trees were really planted in an attempt to obscure the apartment block across the street! It is thought that Samuel Stein passed away during the 1950s. 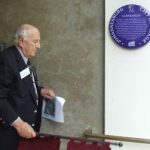 On Saturday afternoon 10 December 2011 a Johannesburg City Heritage plaque was unveiled by Herbert Prins of the Parktown and Westcliff Heritage Trust. 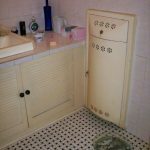 PLEASE DO CONTACT ME IF YOU HAVE ANY OF THE ORIGINAL FITTINGS IN YOUR APARTMENT AND IF YOU WOULD LET ME PHOTOGRAPH IT FOR THE PURPOSES OF THIS WEBSITE. ORIGINAL PHOTOGRAPHS AND DOCUMENTATION OF HISTORICAL VALUE WILL BE MOST WELCOME. I WILL TAKE GREAT CARE TO RETURN IT TO YOU. A RECORD OF THE ORIGINAL BITS OF HISTORY OF GLENEAGLES AND GREATER KILLARNEY WOULD BE EXCELLENT INDEED.